The various PINs project consist of a State funded construction inspection project in Region 11. This project included miscellaneous work: night and weekend work; arterial highway construction; community outreach; media relations; and noise'dust control. B & H Engineering, P.C. had been assigned the role of supplementing New York State Inspection Forces. The construction inspection services consist of providing field inspections; monitoring work zone traffic control, coordination with NYC agencies, other contractors and utilities; reviewing contractor's schedule, equipment and staffing; monitoring contractor's EEO requirements; conducting wage rate interviews; processing payments and change orders; and maintaining office records. B & H Engineering, P.C. 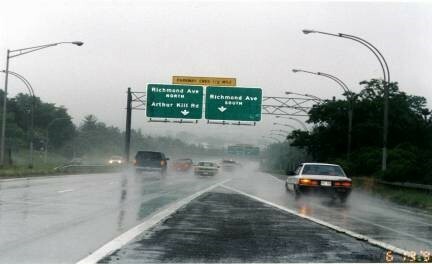 has furnished personnel for the microsurfacing of the Clearview Expressway, rehabilitation of Grand Central Parkway, replacement of sign structures on Richmond Parkway in Staten Island, guide rail replacement throughout Region 11, Highway cleaning throughout Region 11, and Bridge drainage cleaning throughout New York City. This project included pavement repairs, milling, resurfacing, installation of sign structures, concrete placement, guide rail replacement and work zone traffic control.